Even after the historic passage of the Affordable Care Act and the subsequent US Supreme Court decisions, the future of the U.S. health insurance industry is still in flux. Health insurance agents are anxious about the future course of health insurance in the U.S. and are looking for alternate sources of revenues. It’s always been important for insurance agents, brokers & consultants to look for the new opportunities - new markets - and prepare to compete in order to achieve growth. Now that we’re in a new world order - i.e. lower commissions - seekign new markets is even more significant. Adapt or die. Today, in order to boost your business, it’s necessary to think outside the proverbial box again and find the untapped markets. The good news is that relatively untouched markets still exist…with products and carriers already in place…and they are available for exploitation for those with initiative & courage. Huge opportunities exist within the international insurance markets. It is an excellent market for you to explore. Why? Because so few U.S. brokers even know they exist. Beyond the relatively limited competition compared with the broader insurance market, the international market allows you to diversify your client base, increase your commissions, and spread your income globally. Business is global – and that includes the businesses right in your neighborhood. Companies with operations abroad are no longer limited to just the traditional, large multinational companies. Employers of all sizes and from all nations are now making their presence felt. With the abundance of free trade between countries and new markets like China, the international insurance sector is exploding. While the actual number of U.S. organizations with operations abroad is unknown, the U.S. Census Bureau estimates that there are at least 4 million U.S. citizens working abroad. When you add the local nationals and third country nationals that work for these firms, the market potential is enormous. Despite the growing number of organizations with the need for international insurance solutions, the U.S. agent market has been very slow to react. According to the most recent studies, the category of International Health Plans is near the bottom of the types of health insurance most commonly sold, between Hospital-Surgical plans and Discount plans...in other words, statistically irrelevant. Translation: there simply isn’t any competition among agents in the international insurance space, which is really quite rare in today’s competitive sales environment. • Agents don’t realize the market exists. 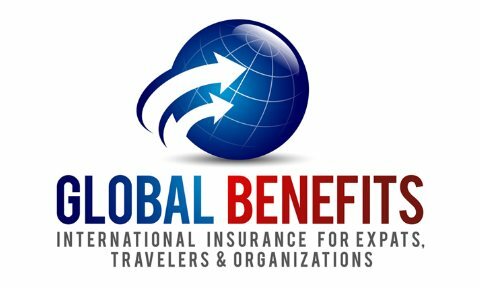 • Agents have heard of international medical insurance, but don’t understand the need for it and/or don’t give it any thought. 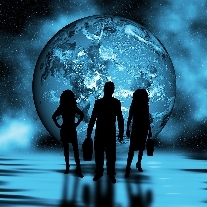 • Agents know that there is a need for it, but are unaware of the solution. First as an agent, you should look for an experienced organziation that is focused on the international markets – one that will support you and your goals rather than compete with you. Education is essential. Look to a partner that can provide you with international market insight, business support and resources you need to succeed. In the international markets having access to a diverse selection of products is critical. Look to a organziation with an extensive product line that allows you to easily assist your clients and prospects in choosing the proper plan to meet their needs. First, you want to partner with an international insurance organziation that offers products for both U.S. and non-U.S. organizations and residents. In addition to international employee benefits, the company should have programs that provide you the opportunity to reach several different targets in the international market – corporate, NGO's, government, schools, travel, expatriate, missionary, marine, etc. Second, as support for your clients, look for a organziation that provides flexible plan designs and gives your clients outstanding enrollment and administration support. It should also provide plans with affordable premiums with low deductibles and no coinsurance. It should be able to insure all dependents regardless of location, and offer the freedom for your clients to choose their own provider. Finding a partner that provides 24-hour secure online access to manage accounts, a multilingual staff to ease the burden of communicating in a second language, and access to highly qualified emergency medical services will not only enable you to help an employer invest in the success of their international operations, but their employees also. In today’s challenging economy and with U.S. healthcare reform in a difficult time of transition, there is no better time to think outside the box. Expand your vision. Tap into the opportunity and revenue that’s all around you within the international group market. Your growth opportunities are not limited to your city or state. The key is finding the right partner that can guide and educate you while you grow more comfortable in the international market place. It’s easier than you think. Your potential, when partnered with Global Benefits LLC, is unlimited. Contact Us!